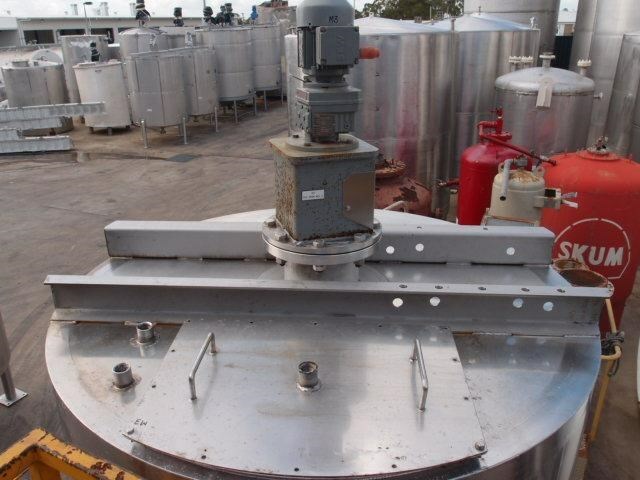 Flat top with center bridge with top mounted gear agitator (0.37kw @ 148 rpm, 415V). 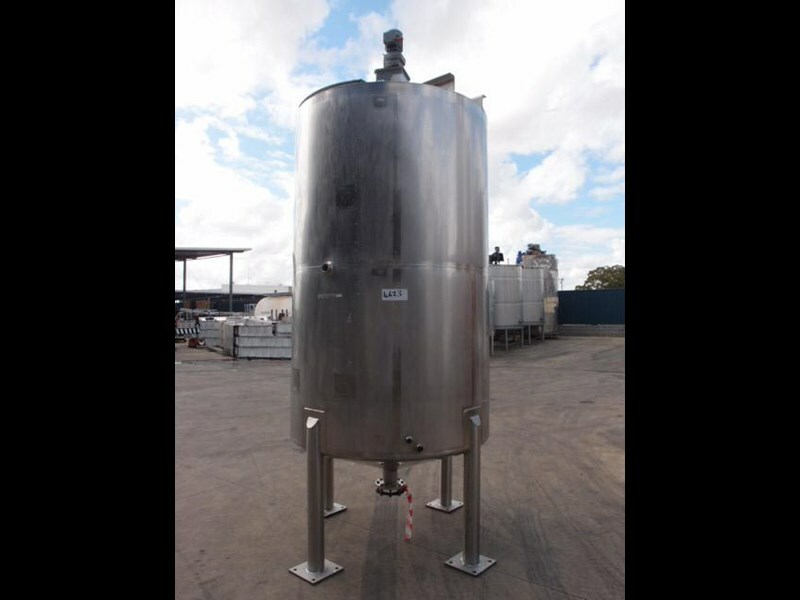 Tank has conical bottom with 100mm dia center discharge. 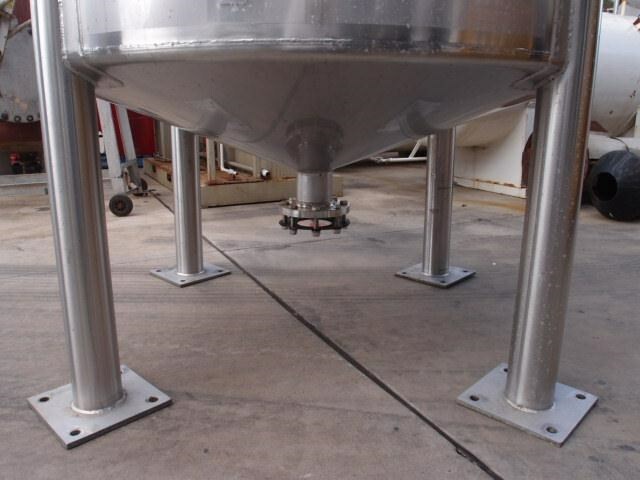 Internal mixing baffles, internal access ladder. 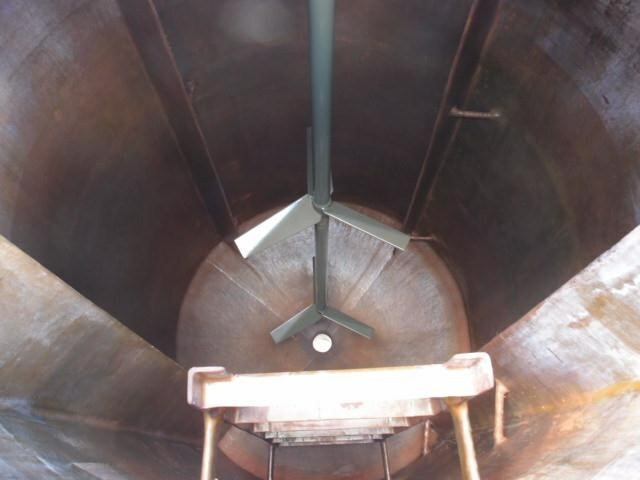 Tank internals lined completely with fibreglass, suitable for chemicals (previously bleach).